Ivan Magomu has been recalled to the Uganda Rugby Cranes for the Africa Gold Cup match against Morocco at Kyadondo Rugby Grounds on Saturday. The fly-half was not considered for the game against Tunisia that Uganda won 67-12 last weekend with Robert Masendi taking his place, but he returns to start against Morocco. The rest of the team that faced Tunisia is maintained, but Ronald Musajja of Kenya Harlequins takes Arthur Mukama’s place on the bench. 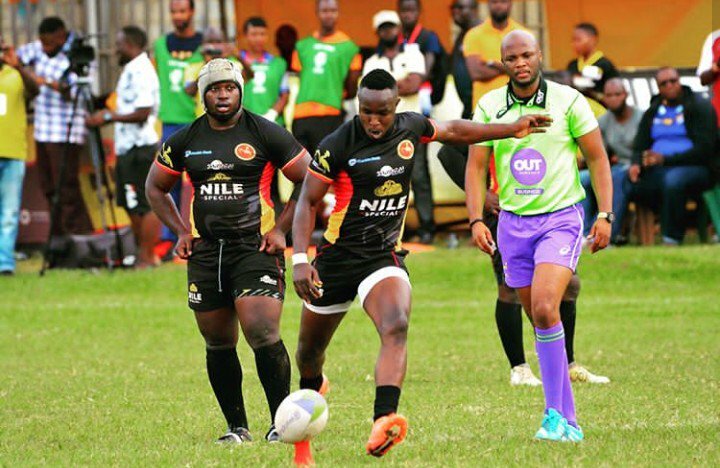 With one win registered from three matches, victory will be key for Rugby Cranes as they look to maintain their Tier 1A status. The Uganda-Morocco game will follow at 4pm, both matches LIVE on Kwese, with SARu referee Rasta Rasivhenge set to be the man at the centre. Kenya Cup referee Victor Oduor will be one of the assistants in Kampala with Zimbabwean Desmond McDonell set to be the other assistant. The 2018 Africa Gold Cup is doubling up as qualifier for 2019 Rugby World Cup to be held in Japan with the competition's winner getting the sole ticket as Africa 1. Namibia leads the Africa Gold Cup with 20 points followed by Kenya who have 12 points. Uganda climbed to third with 5 points after last weekend's after their win over Tunisia who dropped to fourth with four points. Zimbabwe and Morocco are 5th and 6th with three points each. Runners-up, Africa 2, will head to global repechage in November for the last chance to qualify for the World Cup. They will play Canada, Germany and Hong Kong.